Peel sweet potatoes and cut them into roughly 1-inch cubes. 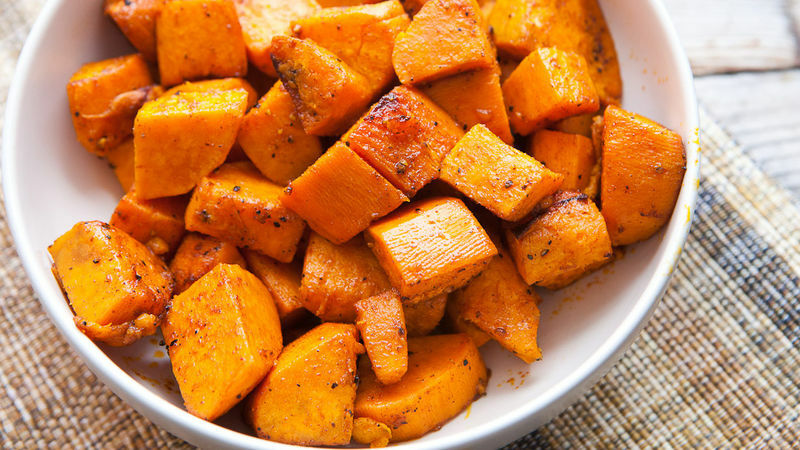 Toss sweet potatoes with olive oil, chili powder, salt, sugar and red pepper flakes. Spread potatoes out in a baking dish. Bake potatoes for about 25-30 minutes until they are caramelized on the edges and tender in the center. Stir them once or twice as they cook.